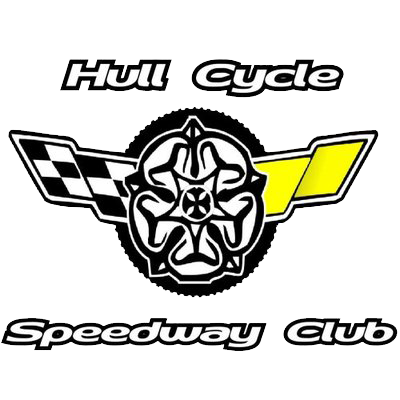 Hull’s first cycle speedway match was in 1946 between Telford Tigers and Marfleet Monarchs. The Tigers won by 45 points to 39 and known riders were: Tigers – Al Harrison, Pete Blood and Terry Gillingham Monarchs – Kenny Speight, Arthur Welburn, Walt Rawson, Pete Cooper, Hubert McMillan, Brian Kirton and Dave Martin. The first inter town match was in 1947 or 1948 between Hull’s Belle Vue Ace’s and Beldene of Bradford and was held at the Corporation Road track in Hull. Rode around the Flagpole at Midfield during the Interval, plus put on a talent day at East Park, close to the Peter Pan boating lake. 1st track was built at the “Woolsheds, and became known as “Brooklands” in National Avenue. This was an abandoned rail spur leading to the radiator works (now Ideal Standard). The 2nd track was at Corporation Road, Hull. Known Riders: Tony Swaine, Mike Mein, Ted Roach who became the chief designer at British Aerospace, working on the RAF Jaguar Jet Fighters and Brian Cooper became an Arctic Explorer and University Professor in Wales. Track was at Hedon (approx 1948). The track was in Corporation Road, Hull. Club Manager: S.T. King, 5 Summergangs Road, Hull. Known Result: Hull Junior Angels 58 = Preston Pirates 26. The track was in Wembley Park Avenue, Hull. Track was 85 yards. Track Record was 51.0 seconds (four laps). Club Manager: E.H. Marriot, 181 Hedon Road, Hull. The track was situated off Preston Road, Bilton. Known Result: Hull Junior Angels 58 – Preston Pirates 26. The track was in the corner of Sutton Trust Playing Fields, raced in 1947. Just behind the 1st bend was a ‘Monkey Puzzle’ climbing frame, and it was from the top of this where many of the local kids used to watch the racing from. Many declared that the track was the only one in Hull with a grandstand. One of these early lofty spectators was Norman Angell, grandfather of the present day Andy Angell. The track was at the Fairground in Walton Street. The track was behind the Wold Road Corner County Library by the allotments. The track consisted of a figure of 8 !! !